As with just about every type of business, the combination of the internet and other technologies has made it easier than ever to start and/or grow a wholesale business. And whether you’re a manufacturer looking to quickly and easily distribute your products, or a distributor looking to expand your sales channels, online B2B marketplaces provide a great opportunity for expansion at little additional investment. But are they the right choice for you? It used to be that making a sale meant having boots on the ground – a team of salespeople making calls and visiting potential customers to pitch your business and products. And while we’re all about making business easier through modern technology here at Dear, we’ll admit there’s definitely a place for the good old-fashioned cold call. But for most business, it’s an unnecessarily expensive path to revenue. The Keller Research Center at Baylor University conducted a study with 50 highly trained and qualified salespeople that backs up this point. During the study, they had the salespeople make a total of 6,264 phone-based cold calls over a two week period. Can you guess how many appointments they ended up with? 19 appointments out of thousands of calls; and that’s just to pitch the potential customer, let alone turn that appointment into a purchase order. It means your team could potentially be spending fruitless hours chasing leads only to end up with nothing – and if that’s the only method you’re relying on to generate sales, you’re losing customers to your more savvy competitors. If You Build It They Might Not Come… So Go Where They Are! The Internet Retailer 2016 Top 500 Guide revealed that the 26 retailers who disclosed their sales from online marketplaces brought in $455.5 million, or 14.4% of their total $3.17 billion in revenue for 2015. And those online sales are up 42.9% from $318.8 million worth of goods sold in 2014 for the same 26 retailers. A 2016 survey by comScore and UPS found that consumers are now buying more products online than in stores. The survey polled more than 5,000 consumers who made at least two online purchases in a three-month period. According to results, shoppers now make 51% of their purchases online, compared to 48% in 2015 and 47% in 2014. And, roughly 190 million U.S. consumers – more than half the population – will shop online this year, according to Forrester Research. So we know more consumers are shopping online, meaning more retailers are selling online. Is it possible those same retailers want to take advantage of the convenience of online shopping their customers enjoy? Selling Wholesale to Online Retailers? But the “name brand” online marketplaces are geared towards consumers – companies like Amazon, Wayfair, Etsy, and eBay generate the overwhelming majority of their sales from retail (though that’s starting to change, eBay and Etsy have now launched wholesale channels). And sure, you can build your own B2B ecommerce website, which is a great idea. But driving traffic to your website takes a lot of work and if you’re not already ranking in search engines, thousands of potential customers looking for your products right now aren’t going to find you. That’s where online B2B marketplaces come in. 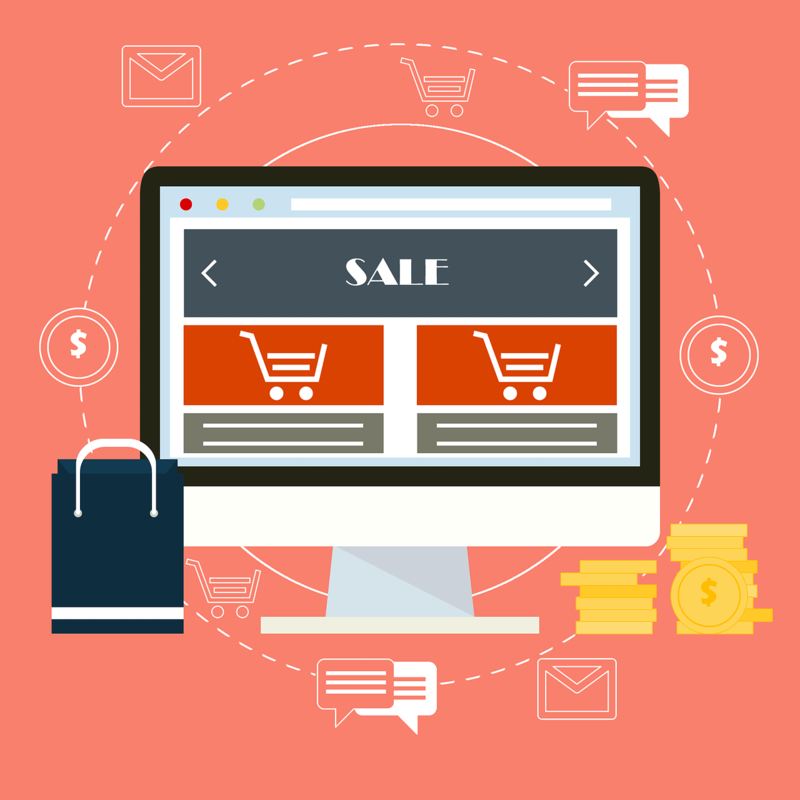 These specially crafted ecommerce sites are all about connecting wholesalers, distributors, and retailers so they all can benefit from buying and selling online. They make it possible for buyers around the globe to find your products and sell them in their businesses, all you need to do is position yourself in front of them. And unlike calls during business hours, they’ll let you make sales and generate leads 24/7. But how do you find these online B2B marketplaces? Well, right here in our list below! Uppler is a powerhouse B2B marketplace that offers a lot of impressive features and different marketplaces for a variety of industries. Create an online “showroom” when you sign up to display your products. Invite clients and prospects to access your showroom and give them custom made catalogs or newsletters. Discover which of your products are the most popular. Create line sheets and pre-populated purchase orders to send to any clients. Track all your wholesale orders in one, convenient place. Joor is the go-to fashion and home goods B2B marketplace. And in processing over $7 billion in orders every year, they offer a huge opportunity to grow your revenue. Amazon is the titan of online retail and not looking to miss out on an opportunity, they created Amazon Business to enable B2B ecommerce for small businesses and massive enterprise alike. Access to pricing customization tools that are only visible to business customers. Lower fees on large business transactions in specific B2B categories. Enhanced product listings with CAD drawings, user guides, and more. All at the same (or lower) costs as selling retail. Alibaba is the Amazon of online B2B marketplaces, connecting B2B buyers and sellers in more than 240 countries and regions around the globe. FGM Vendors is an online wholesale marketplace that acts like a virtual tradeshow for your business. When you join, you’ll get a professional listing that includes information about your business, photos of your best products, and contact forms that make it easy for potential buyers to reach out. Shopify has generated over $29 billion for more than 377,500 businesses, and they now offer a wholesale marketplace of their own to connect you with the thousands of retailers using their platform. It’s fast and easy to sign up – simply fill out this questionnaire and they’ll start emailing you requests from retailers interested in purchasing your products. Create a customized store using their gorgeous themes. Easily track sales and growth trends. Wholesale Central has been the largest wholesale directory since 1996 and they make it clear up front – their online marketplace is designed for B2B only, no consumers. These are just a few of the many online B2B marketplaces out there, but together they offer plenty of opportunities to quickly and easily start reaching more customers. Automate and integrate your business systems and sales channels with our easy-to-use inventory management software.